“Ice cream” without all the guilt sounds pretty amazing huh. The best thing: it tastes incredible too because essentially you’re eating Greek yogurt mixed or blended with your favorite fruits or sauce. 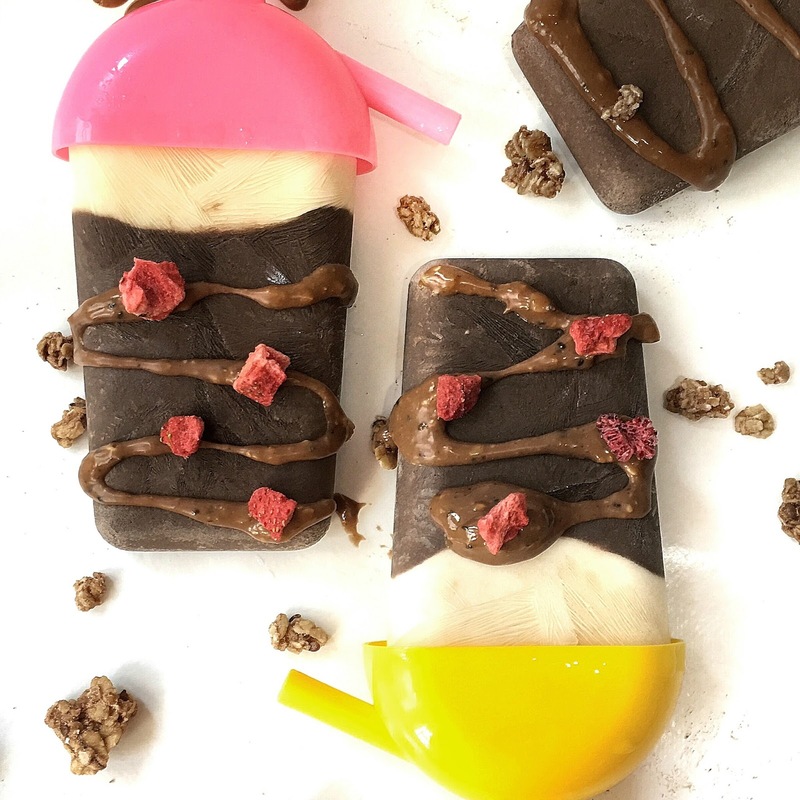 Freeze it and it seems like you’re eating an actual ice cream popsicle. Wheeeee. My favorite Greek yogurt brand is Farmers Union. I like the thick creamy texture. But I usually get the lighter version which has less sugar and fats compared to the full fat version. When eaten alone, it’s tart. For those not quite used to the tartness of yogurt, you can consider adding in some honey or blend in some fruits till you get the desired sweetness. I’m usually fine with my yogurt sour. Overly sweet yogurt pops / ice cream turns me off big time. I am better off eating a MARS bar. This time round I decided to make some cocoa peanut butter pops! The base was just some greek yogurt and milk. Feel free to mix and match your own ingredients. 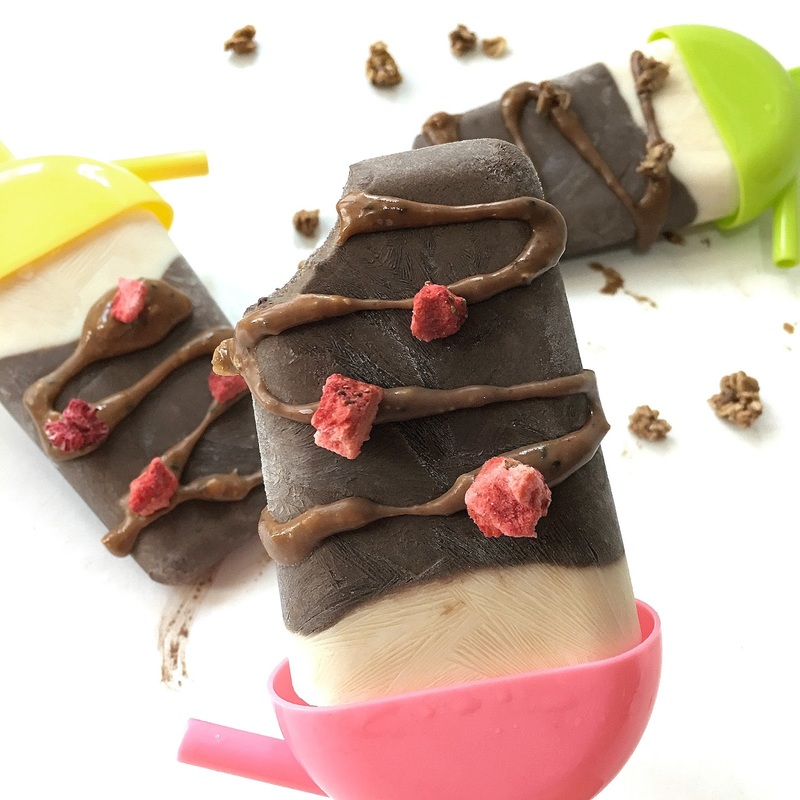 4) Pour ¾ of the cocoa vanilla mixture into your popsicle mold and top till full with the peanut butter one.